2020 Full Season Available! 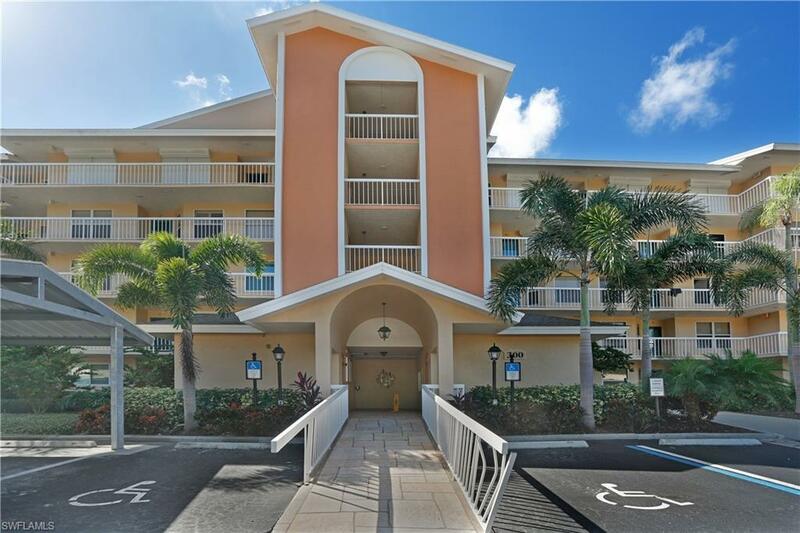 Welcome to Princeton Place at Wiggins Bay, the perfect vacation paradise located in one of North Naples most desirable gated communities. 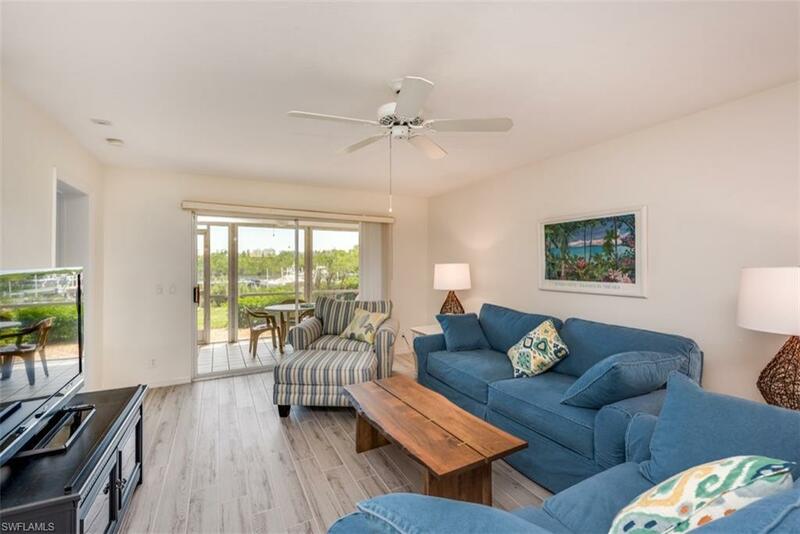 Freshly renovated for the 2019 season, this 2 bedroom/2 bath unit is located on the first level for easy access. New ceramic tiled floors welcome you to a comfortably furnished living room with a large flat-screen TV and unlimited WiFi. Glass sliding doors open onto a screened patio overlooking the boat basin and lushly landscaped grounds. Cooks will enjoy the fully equipped kitchen with granite counters and plentiful cabinets. The master bedroom suite features a private bath with twin vanities and a large soaking tub. The guest bedroom offers twin beds and both bedrooms have flat screen TVs. 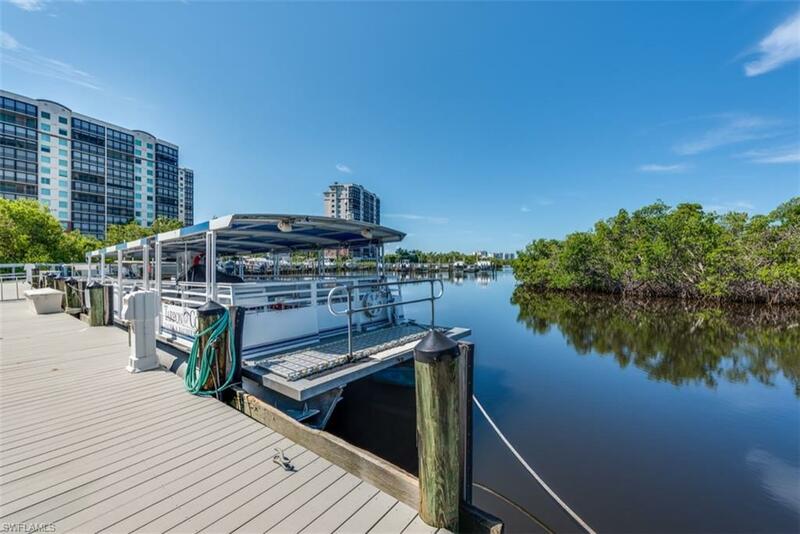 Membership is available to the Tarpon Cove Yacht & Racquet Club featuring casual & fine dining, Har-Tru tennis courts, fitness center, tropical resort pool & tiki bar. 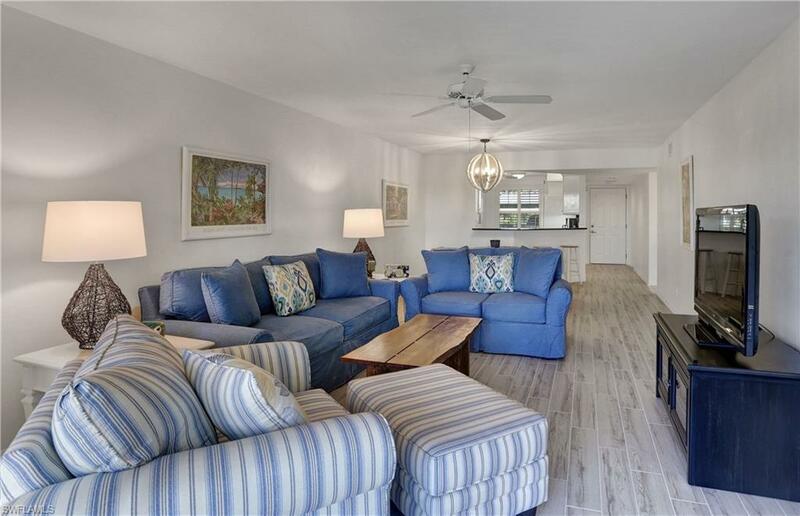 Steps from your patio is a private ferry to top-rated Delnor-Wiggins Beach on the pristine shores of the Gulf of Mexico.